December 2015 Mostly Dry - What Will January 2016 Bring? The last two possible precipitation events of December fizzled away into non-events, after promising long-term global-model forecasts. The month ended up here at house having only measurable rain falling from the 12th to the 14th, with dry and cold conditions for entire rest of the month. Precipitation did total 0.60 inch. The year ended up at 11.15 inches - 3 months (Jan., Sep., and Oct.) had over 2.00 inches of rain, with January 2015 being the wettest month at 2.48 inches. Six months had less than 0.50 inches, with February being the driest at 0.04 inch. Will summarize morning cold after month ends - but so far there have been 13 days with lows in the 20s F here near the Rillito wash. The NWS GFS model is forecasting the current, strong westerly jet-stream over the central and west Pacific to extend eastward and intrude into the Southwest during the first week of January 2016. Above graphic shows 250 mb winds analyzed at 00 UTC last evening, while below shows the GFS 250 mb forecast valid at 00 UTC on January 4th. The forecasts indicate that the main branch of the westerlies will be affecting lower latitudes and bringing moist conditions to the Southwest. The model forecasts no precipitation for Arizona through the 4th, but then during the next 5 days (bottom forecast shows total precipitation from the 4th through the 9th) a very wet period is forecast for the Southwest. If the forecasts are accurate, January 2016 would start the year off on a wet note, just as happened last January. Saturday's fast-moving weather system brought only cold winds to the Tucson metro area, with some light snow showers on the Catalinas (above) and the Rincons. Another fast-moving cold front is expected tomorrow morning (Tuesday, December 29th). This is again a moisture-starved system, but the 06 UTC WRF forecasts from Atmo this morning (below is from WRF-NAM) indicate light showers moving through parts of eastern Pima County around sunrise. Thicknesses at this time will be right around 5340 m, which can bring snowflakes to parts of the metro area. So, it could be an interesting morning tomorrow, although any precipitation amounts will be light. Saturday's weather system became a major and deadly storm for the Southern Plains (see post from December 24th, 2nd below). 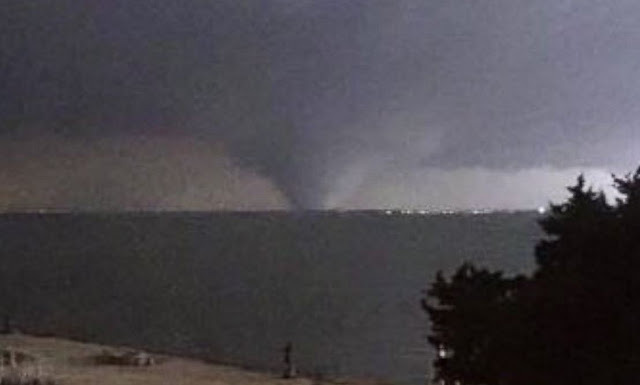 Tornadoes struck in the Dallas area - photo above (by T. J. Reazor) is of a large tornado near Garland, Texas, where hundreds of homes were damaged or destroyed Saturday evening. 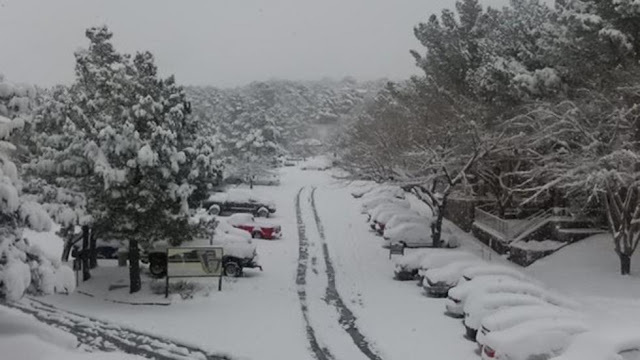 The storm brought blizzard conditions to much of southeast New Mexico and west Texas yesterday. There is currently a state of emergency in parts of New Mexico, where all roads are closed. 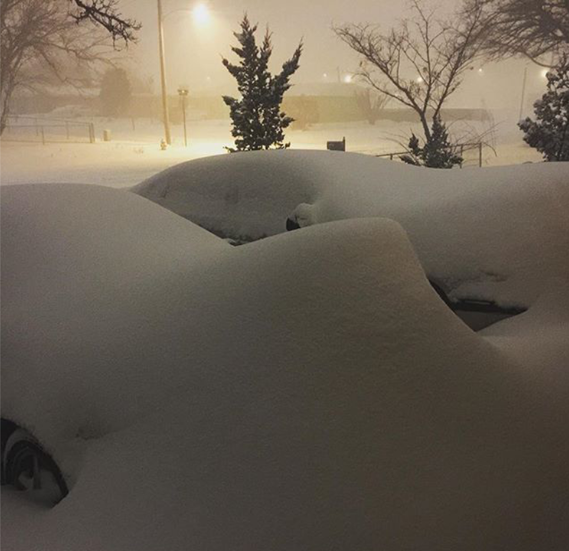 On Saturday night heavy, wet snow fell in El Paso (above) and blizzard conditions continued yesterday evening in Roswell, New Mexico (below). 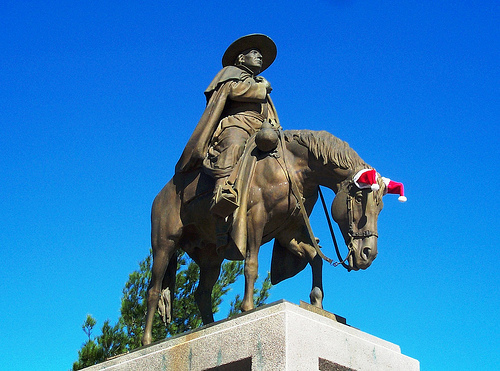 Highlighting some photos here that show bits of Christmas across parts of the Southwest. Christmas in our circle brings abundant luminaria, as well as a stunning view of neighbor Ronnie's beautiful tree (looking from the street through her open gate). 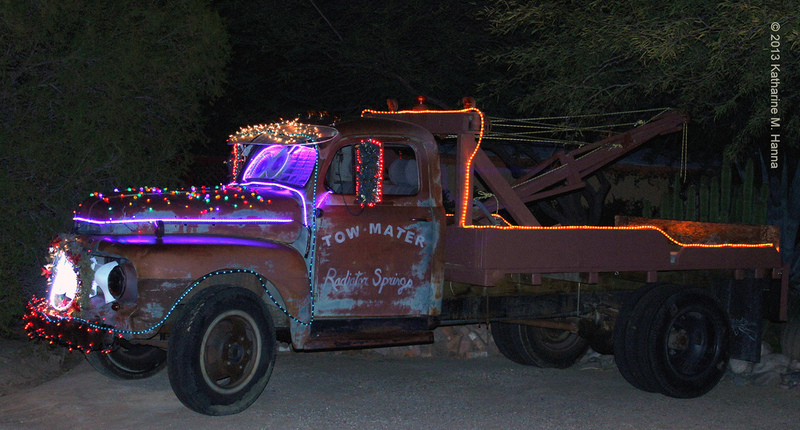 Decorations can be simple, since so many things stay green, as per second image below. 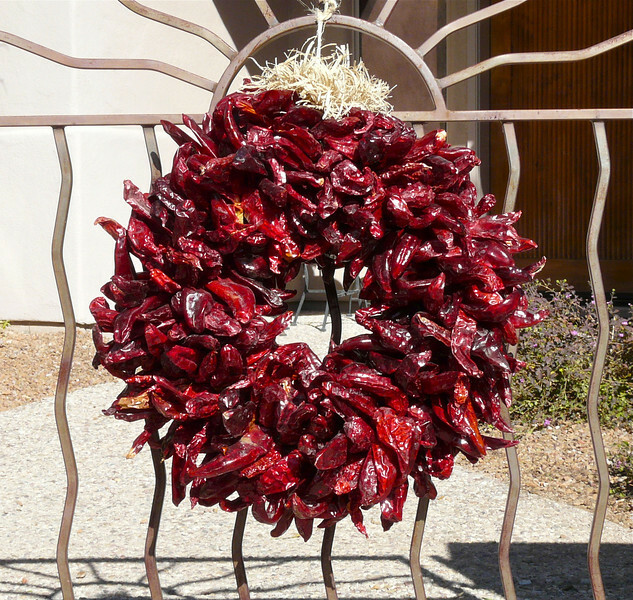 Christmas in Tucson brings out chili pepper wreaths, as well as ear-warmers for Padre Kino's horse (just above). A few blocks away from here, the owner of an ancient tow truck (named Tow Mater) decorates his vehicle for Christmas, as well as dressing it up to resemble the tow truck in the movie Cars. Tamales are a Christmas tradition (second below) in Tucson and many favor the green corn version from Lerua's - some of which will be on our table at dinner tomorrow. 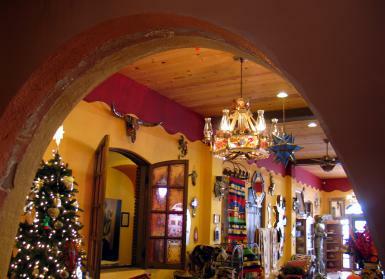 One of our favorite spots in Arizona is the historic La Posada Hotel in Winslow. Shown here are two interior shots from our visit just after Thanksgiving last month. 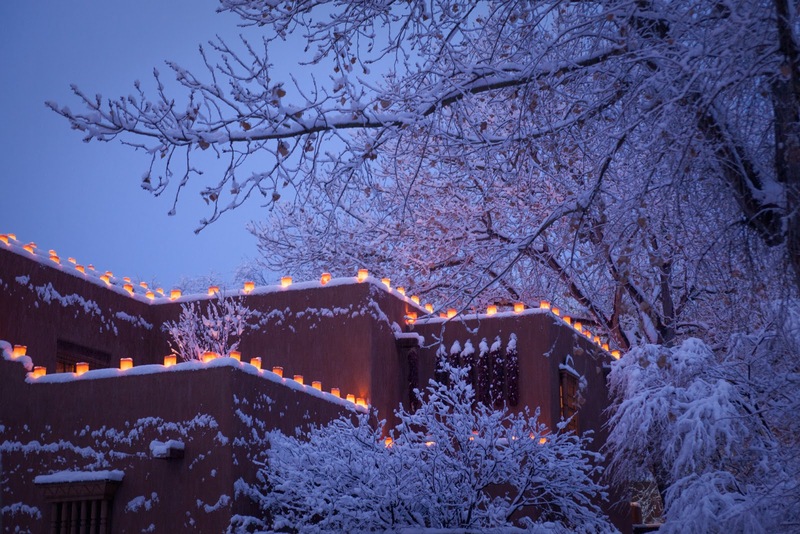 Finally, Christmas in Santa Fe (where Katie's sister and family live). Above shows a building decorated with farolitos. 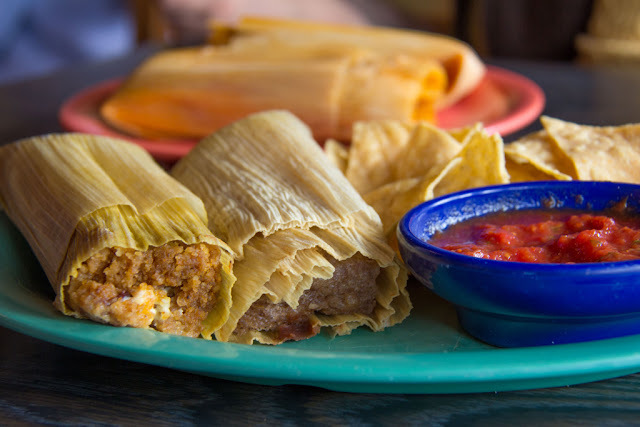 Folks in northern New Mexico insist that this is the historically correct name for the little lanterns, and that they are misnamed when called luminaria. 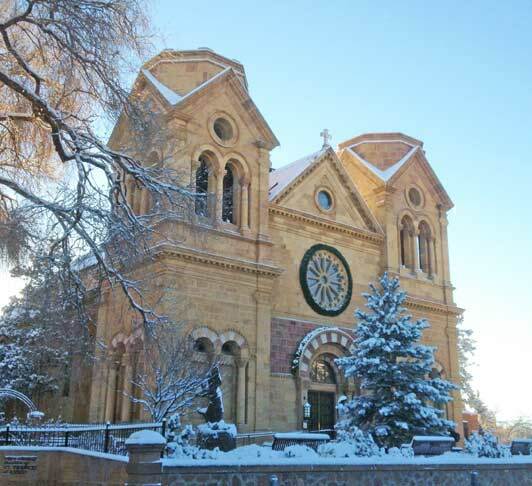 Below is a view of the famous Cathedral (an important aspect of Willa Cather's novel Death Comes for the Archbishop), dressed in snow. 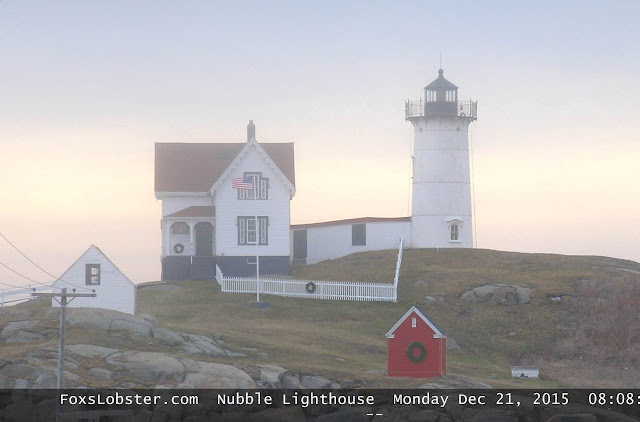 We visit fairly often up there, but rarely this time of year. 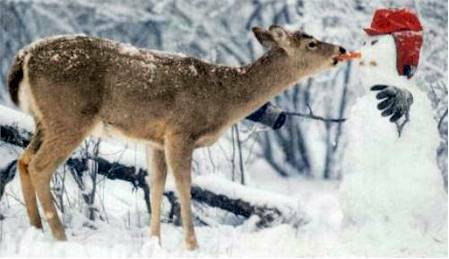 Interesting "deer meets snowman" photo from the internet this morning. 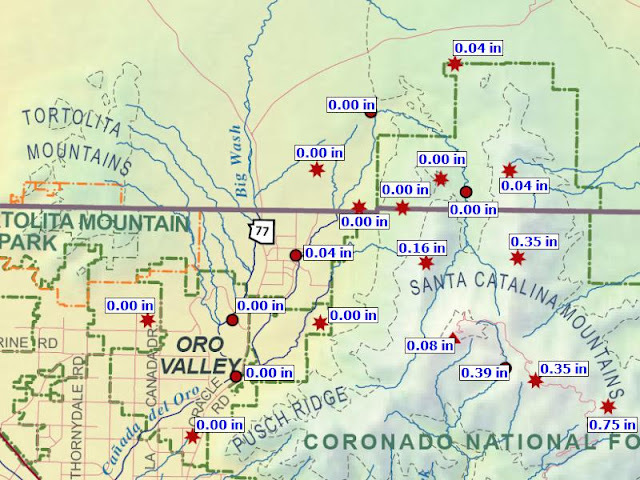 As for the weekend storm, models continue to forecast minimal weather for most of southeastern Arizona so it continues to be a " wait, watch, and see if anything happens at low elevations" event for us. I took a quick look at the 06 UTC WRF-NAM forecasts on the 5.4 km grid this morning to get a broad-area view of the model's forecast. Graphic above shows the model forecast of accumulated precipitation for the period ending at 11:00 am MST on Sunday the 27th. Graphic below is same forecast, but for snowfall. The most serious impacts of the strong, closed low at 500 mb is forecast for New Mexico, Northwest Texas and the Big Bend, and western Oklahoma. A nasty winter storm, with a mix of precipitation types, will probably cause havoc for Holiday travelers returning home on the roads. Note also that snowfall extends far southward across Chihuahua State in Mexico, and the storm will likely cause much misery down there. 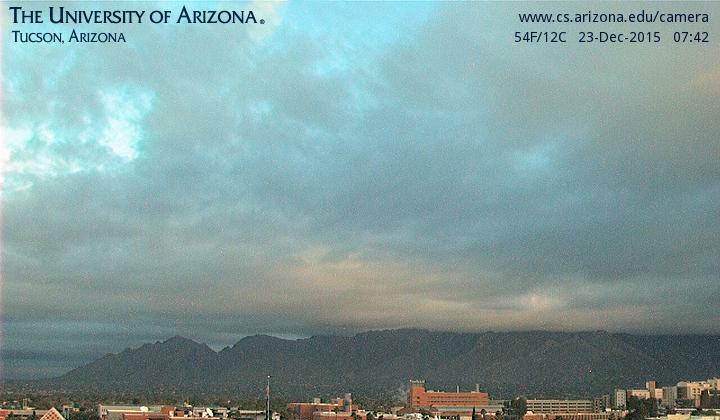 View of the Catalinas this morning (above) shows heavy cloud sitting on the mountains, but with a bit of blue peeking through. Yesterday was extremely dreary down here in the metro area, but essentially precipitation free. 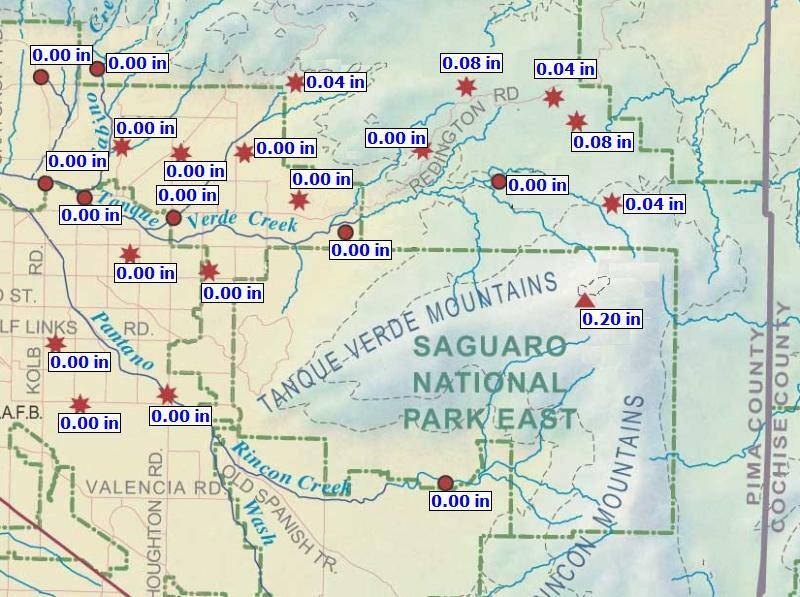 The two sectors of ALERT network data shown below (Catalinas and then metro east) indicate precipitation for 24-hours ending at 6:30 am MST this morning. Rain and perhaps some snow was confined to high elevations - nice example of nearly 100% POPs for the mountain zone and nearly 0% for the low elevation forecast zone. The WRF model forecasts from Atmo were actually quite good in their forecasts for this period, keeping precipitation up on the mountains (see second post below). For such a strong 500 mb closed low coming by (ECMWF 500 mb forecast valid at 5:00 pm Saturday afternoon shown above), the models continue to forecast a fairly dry, but cold, storm with precipitation most likely to continue over the higher elevations. The WRF-NAM forecast from 06 UTC this morning (below) continues with little forecast for the metro area in the way of precipitation. The WRF-GFS forecast is much drier - the reason for this is shown clearly in the plumes QPF forecast below. This seems to be a continue to watch and see what happens situation, as the low closes off nearby - thickness values will probably be cold enough for snowflakes down here in metro area Saturday, if there is any precipitation occurring. Quick look at some plumes from the 06 UTC GFS ensembles for the period through the Christmas weekend - above is QPF for Tucson. There's little to be excited about from the model for the airport station (TUS). Spits and sputters of light showers through Saturday night, but with light amounts forecast. Note that the operational version of the model (blue) is a seriously dry outlier. The 06 UTC plumes for El Paso are much more interesting - just below are the QPF plumes that indicate a significant precipitation event for late Saturday afternoon into Sunday, but with substantial spread in the forecasts. The precipitation type plumes at bottom shows the models forecasting an event that starts as rain (green), but then quickly turns to snow (blue). 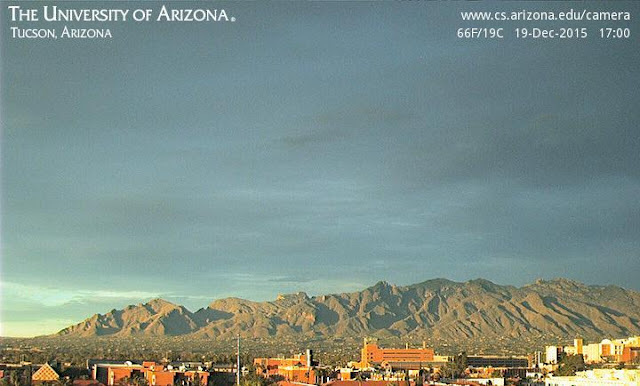 If the model forecasts are accurate, the Sun Bowl football game will just be ending about the time the weather sets in. The ECMWF and GFS operational forecasts for 500 mb are now very similar through the afternoon of Christmas Day. Shown here are 96-hour 550 mb forecasts from 00 UTC last evening, both valid at 5:00 pm MST on Christmas (ECMWF above and GFS below). The 06 UTC plumes from the GFS ensembles for the 21 members continue to be interesting. The temperature plumes above continue to forecast a strong cold front passing TUS in the late afternoon, or early night, on Christmas Day. The model is forecasting high temperatures on the 26th to be around 15 F colder than those on the 25th. As for QPF forecasts below, there is still substantial variance among the different configurations of the GFS model. While all the members forecast light showers and sprinkles at the airport from this evening through Thursday morning, the precipitation with and following the cold front ranges from less than a tenth to almost seven tenths of an inch. 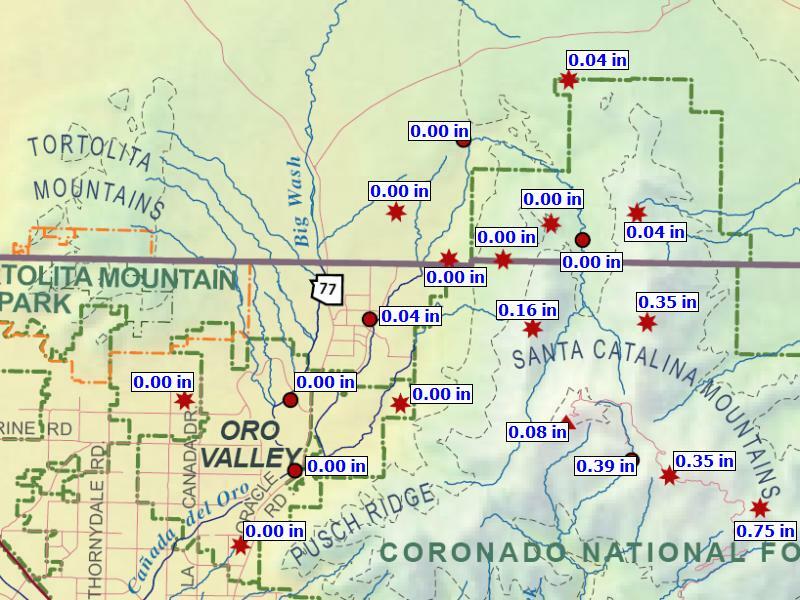 (The WRF high-resolution forecasts from Atmo at 06 UTC this morning continue to keep precipitation from now through Thursday mostly to the north and in the Catalinas and Rincons.) The operational version of the model (blue trace) remains quite dry compared to many of the forecasts. Most of the models are forecasting the precipitation during the night following the frontal passage; however, some members have the precipitation falling mostly on Saturday. The snow level would be very low by Saturday morning, so it continues to look like an interesting weather-weekend. In the short-term the WRF-NAM forecast from 06 UTC last night is forecasting a bit of precipitation over nearby mountains late Tuesday - this occurs within moist flow from the northwest. 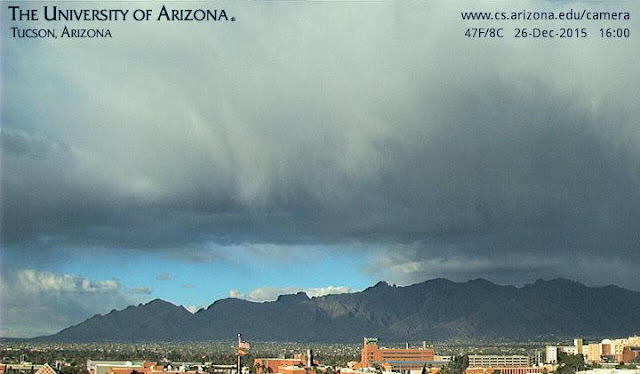 The forecast above is for accumulated precipitation through 5:00 am MST Wednesday morning, December 23rd. The WRF-GFS, however, forecasts any precipitation in this period to remain well to our north. For the longer-term, i.e., the Holiday Weekend, the GFS ensembles (QPF plumes below) are now clustering with a forecast for light rainfall at TUS (the airport) of a tenth of an inch or so. If you look closely though, you'll see that the timing for this brief event remains rather uncertain within the various forecasts. There are two outliers in the ensemble mix that forecast a big event on Saturday night with amounts over an inch. So, a cold trough for Christmas with weather (precipitation) details TBD. Off in the Great Lakes Region, yet another rain event is underway this morning, as per the above surface plot for a bit before 13 UTC. Observations of light to moderate rain cover most of southeastern Wisconsin, lower Michigan, and extend eastward into Canada north of Lakes Erie and Ontario. Further east, much of New England remains brown as their snow drought continues. View above is of the Quad at Middlebury College in northern Vermont this morning. The view below (also this morning) is of the Nubble Lighthouse on the Maine coast, between Boston and Portland. The new 500 mb forecasts from 12 UTC again show the difficult predictability situation for the coming three-day Holiday weekend. The ECMWF (above at 168-h valid 12 UTC on 27 December) now forecasts a closed low over northern Mexico. The same forecast below is from the GFS, which is now the more progressive forecast. The new QPF plumes from the GFS ensemble (bottom) are now even more all-over-the-place. We'll just have to watch to see how the real world atmosphere evolves this week, and now I suspect that neither model has a very good "lock" on what we'll see come Christmas Eve. The current pattern over the north Pacific doe not have high predictability beyond a few days and this is well-reflected by the GFS ensemble plumes for TUS. Above shows QPF forecast by the 21 members with forecasts for the weekend ranging from zero to a bit more than a quarter of an inch. The operational version of the model (blue line) is among the driest of the forecasts. The large spread in the model is emphasized by the forecasts of 850 mb T - below. 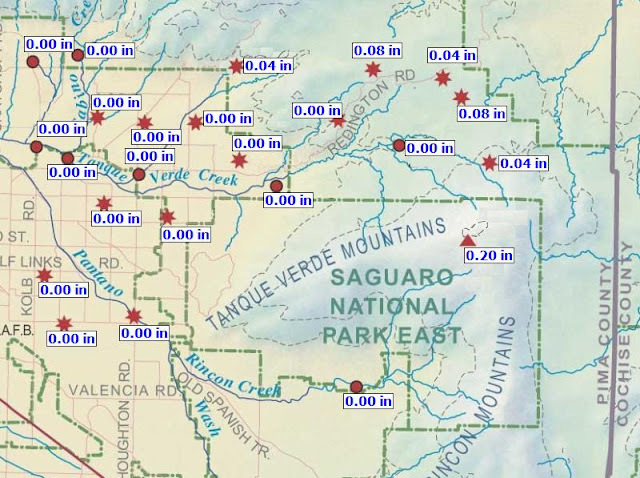 By Saturday the range of temperatures forecast over TUS span more than 15 C.
For contrast, the QPF plumes for Flagstaff are shown at bottom - the plumes indicate higher chances for precipitation; however the amounts forecast up there still have a large range (from about a tenth to near one inch of water equivalent. Such a spread could mean a skiff of snow or accumulations over a foot! Big difference for local and interstate traffic and also for potential Holiday work loads for the Dept. of Transportation folks. First, the heavy cloud cover yesterday persisted for almost all of the day, resulting in warmer morning temperatures and lower afternoon highs than were expected. For example, lows were 34 F here and 44 F at TUS - both about 10 F warmer than the previous morning. Campus webcam view of Catalinas at 5:00 pm MST yesterday shows a bit of sunshine just peeking through as the sun sets. Now for the global model forecasts from the ECMWF and the NWS GFS. The forecasts shown here are at 144-hours from last evening and are all valid at 5:00 pm Christmas afternoon. The ECMWF forecasts for 500 mb and surface pressure with 1000-500 mb thickness are shown above. Beginning yesterday the ECMWF products were morphing toward a forecast of a very progressive short wave moving across the Southwest - as per above. This leads to a rapid cold front coming by here on Christmas Eve (perhaps with showers) and a developing blizzard for parts of the High and Northern Plains. In contrast the GFS (same two forecasts below) forecasts a system that has the northern portion shearing eastward, while a closed low develops over the Southwest for Saturday. The GFS forecasts only a weak, inverted pressure trough over West Texas for Christmas Day. Note that the two models forecast significantly different ridge configurations along the West Coast, as well the resultant downstream amplification. The GFS seems to have been lagging behind the ECMWF forecast trends by about 24 - 36 hours, so I would lean toward the ECMWF forecasts for the weekend. Will look at the GFS plumes in the next post.